Putting in a mistake-free performance today in Argentina, Xavier de Soultrait reached the finish of a demanding stage one at the Desafio Ruta 40 rally claiming a solid sixth place result. Continuing his strong run of form at the event, the Yamalube Yamaha Official Rally Team rider is currently sixth in the provisional overall classification. Including some fast tracks and demanding navigation, stage one of this year’s Desafio Ruta 40 proved to be a big challenge for all competitors. Making the best of his experience in long and tough stages, de Soultrait reached the finish of the day without any issues. Currently placed sixth in the rally’s overall standings, the WR450F Rally mounted rider is 17 minutes behind the provisional leader and less than 12 minutes behind the top three. With four long stages yet to be contested in the Argentinean countryside, Xavier has his eyes set on a good overall result at the end of the week-long event. Suffering minor technical issues, Xavier’s teammates Adrien Van Beveren and Franco Caimi have yet to finish today’s stage one. 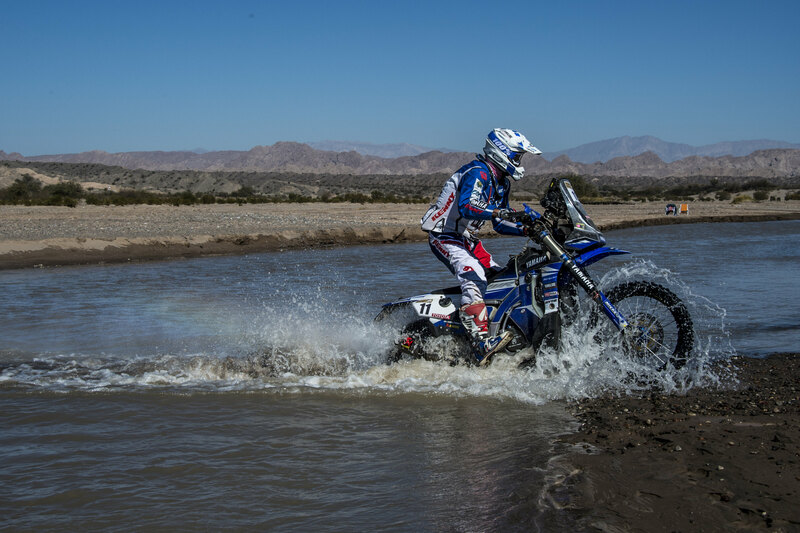 Both are in contact with the Yamalube Yamaha Official Rally Team Manager José Leloir, and will continue their effort to reach the finish of the stage so that they can take the start of tomorrow’s stage two of the rally. Taking riders from Villa Unión to Tinogasta stage two of the Desafio Ruta 40 includes a special stage of 336km in a total of 437km to be run during the day.